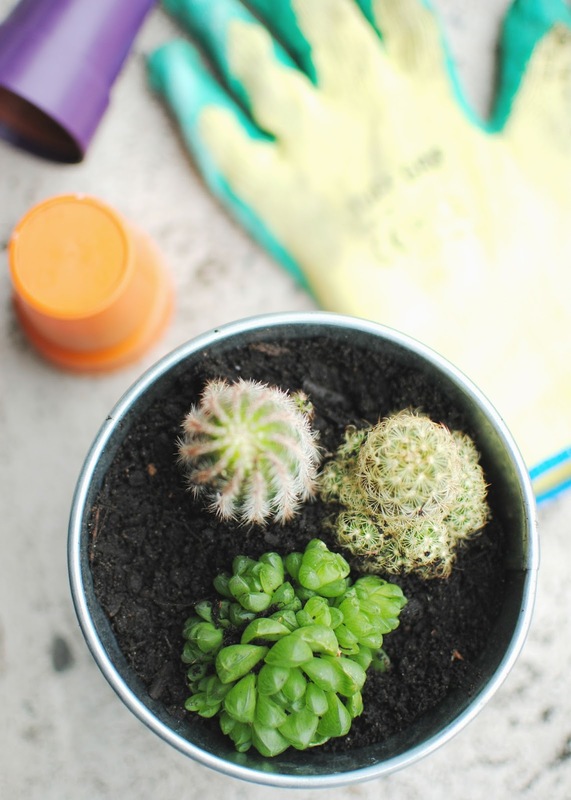 I have become obsessed with cactus' they are so photogenic and they look amazing in a room plus they require very little watering which is a huge bonus for someone like me who tends to forget about plants. I couldn't find any local to me anywhere I checked garden centre's , online and even attempted to grow my own. I had kind of given up in the hope to find some but randomly I was shopping in Asda and came across a whole selection of them I couldn't believe it and had to pick one up. To begin I filled my pot half way up with compost and broke up any clumps using a handheld fork / rake thing ( I don't really know what it's called). 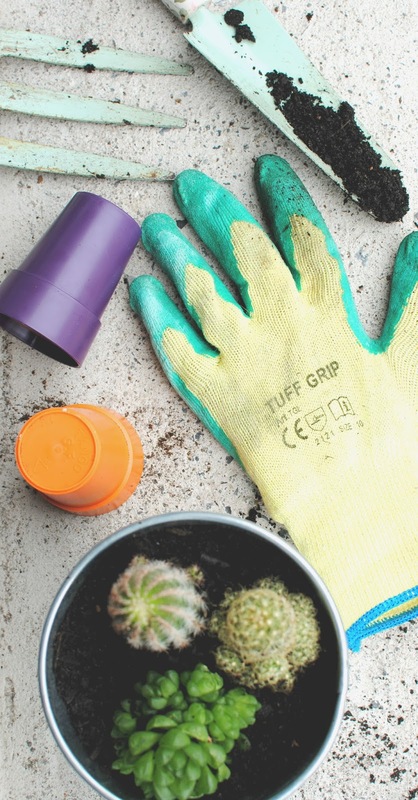 Make sure to put on your gardening gloves on at this stage and dig a little hole for where your first plant will be placed once you have positioned your plants begin to add soil around the plant pressing it down every once in a while to secure your plant in place. 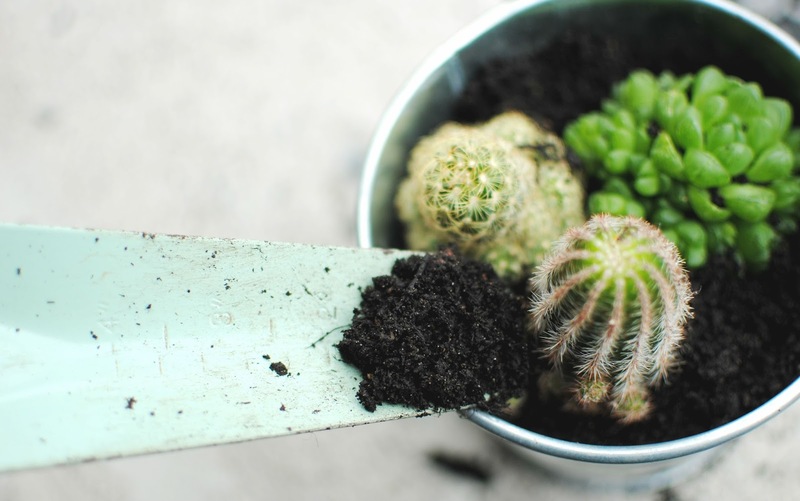 Thats really is it there are no rules so you could do this with other plants or cram the whole pot with different plants ( I think this would look really good ) be prepare to see lots of pictures of these cactus' around here as they are the best thing to take photos off. 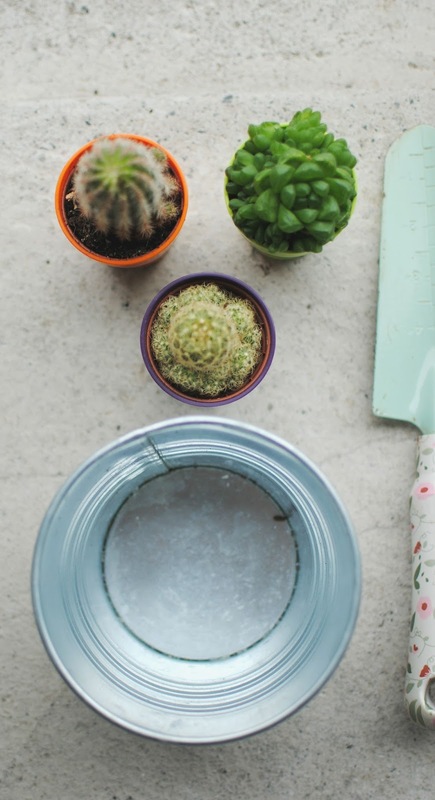 Will you be trying out this super simple DIY ? 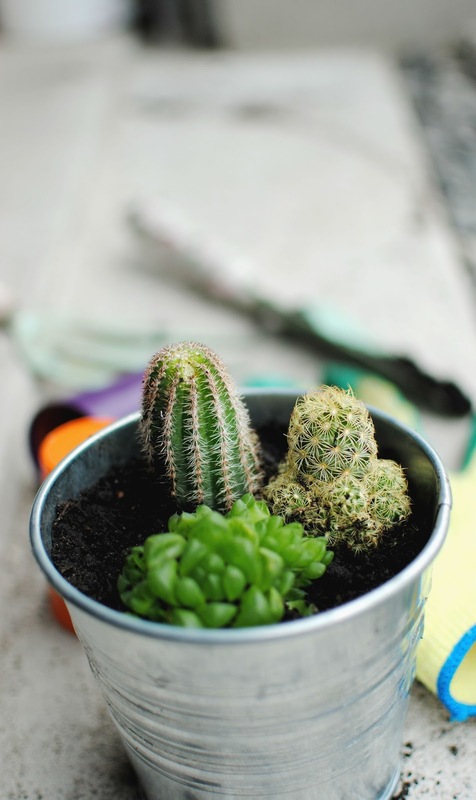 Shall definitely be buying a few cacti now- such gorgeous photographs! Who knew a cactus could be so photogenic? !